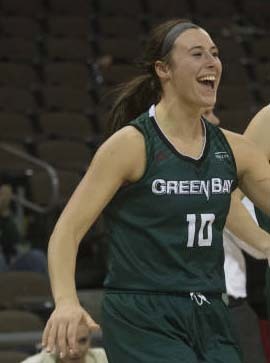 Green Bay Phoenix women’s basketball standout Mehryn Kraker (West Allis, WI) heard her name called in the WNBA Draft on Thursday night. 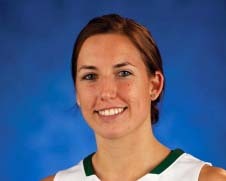 Kraker was selected in the third round, 27th overall, by the Washington Mystics. Kraker becomes just the second player in program history to get selected in the WNBA Draft, with All-American Julie Wojta being the only other player in program history to accomplish the feat. Kraker averaged 17.6 points a game last season. She collected Horizon League Player of the Year honors, finishing her career with 1,671 points. She also leads the program in career three-point field goals with 234. Wojta (Francis Creek, WI) has signed a contract with Eurocup team Dexia Namur Capitale in Belgium. The 6’0 forward was waived by the Lynx after competing for a roster spot during its two-week training camp which included a pair of preseason games. Wojta is expected to clear waivers in the 48 hour timeframe, making her an unrestricted free agent with the opportunity to sign with another WNBA franchise. However, with the regular season tipping off May 20, there is a very small chance and window of opportunity for Wojta to join another WNBA team. In September, Wojta will travel to Belgium where she will join Dexia Namur and compete in round-robin type of play, competing in multiple countries throughout the season. 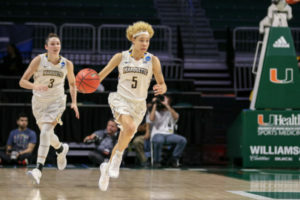 saw her dreams turn to reality after the All-American was selected as the 18th overall pick by the Minnesota Lynx in the second round of the WNBA Draft on Monday.